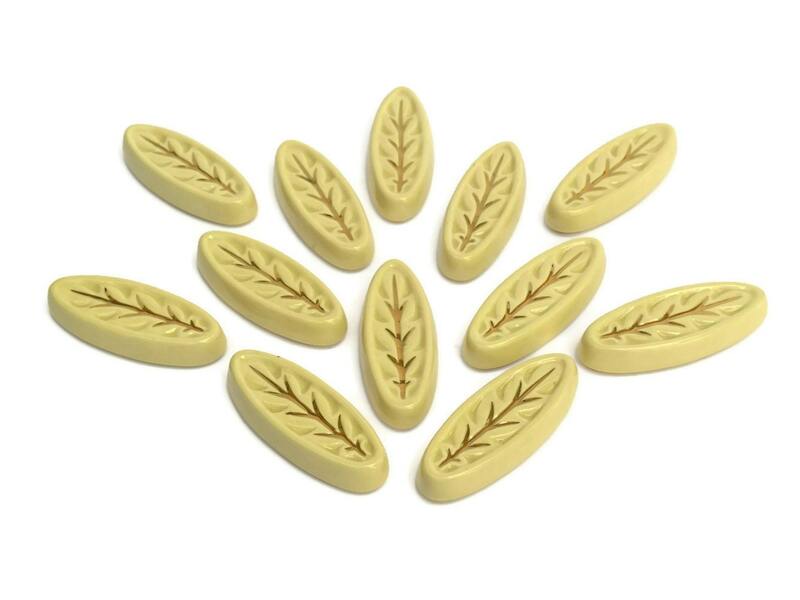 A stylish set of 12 Art Deco ceramic leaf knife rests dating to the 1930s. 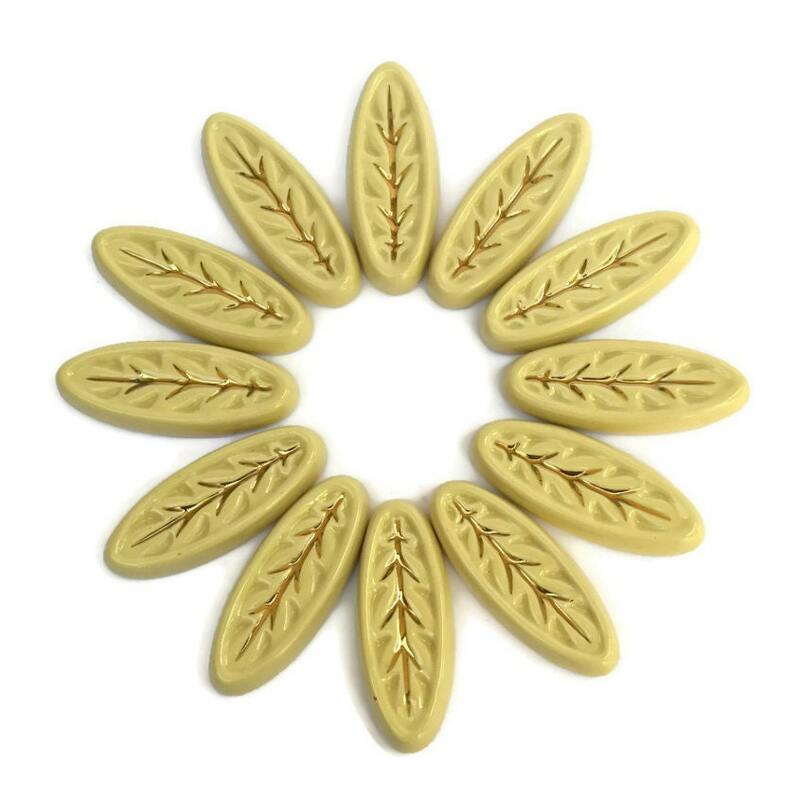 They were created in the form of elegant leaves and were manufactured by the French ceramic company Magdalithe. 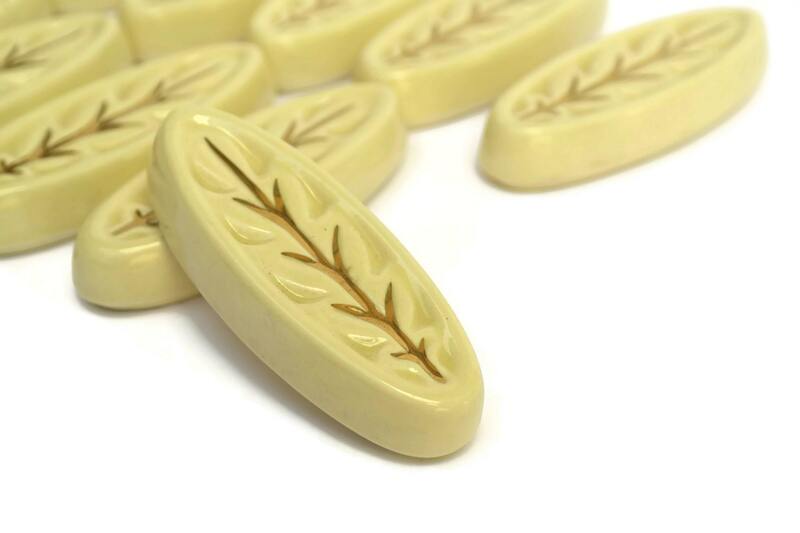 Each vintage cutlery rest has been glazed in a shade of cream with gold highlights. 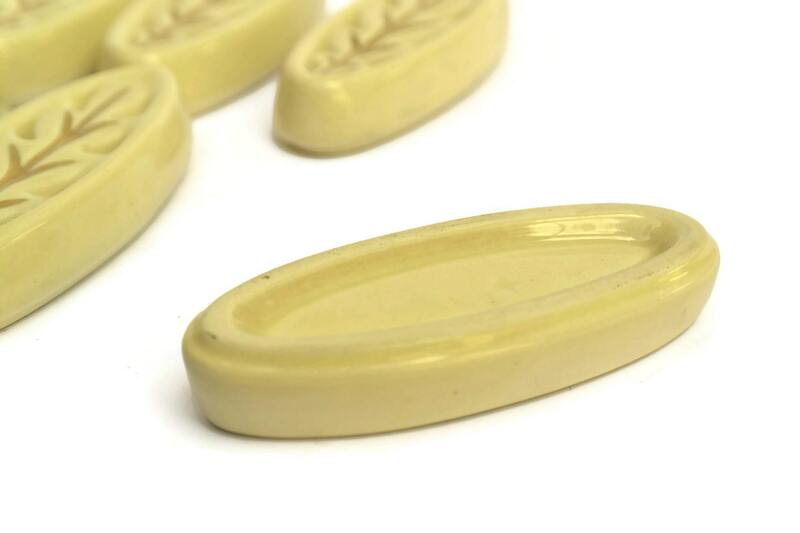 The undersides have been stamped with the manufacturer's mark. (10 cm x 2 cm). 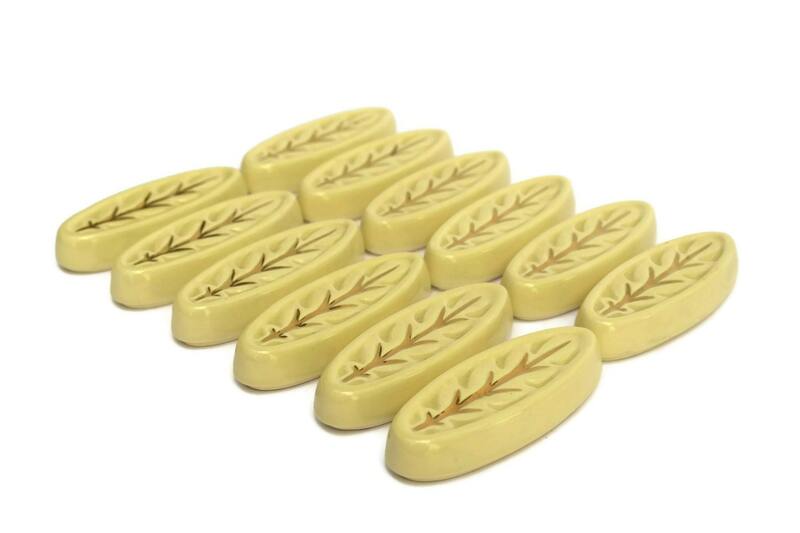 The knife rests are in very good condition with no chips or cracks.